Happy New Year from the Joe Andruzzi Foundation! We hope your 2014 is off to an (Up)Beat start filled with big smiles and laughter! We’re only a month into the New Year, though it feels like there is much to talk about already. January was a busy month for the Foundation. We recently announced our 2014 Boston Marathon Team – otherwise known as “Team JAF.” Our forty-seven runners have been relentlessly training for months to tackle the 26.2-mile Marathon course, all to raise money for cancer patients and their families. With each stride, JAF is moving closer towards it fundraising goal (already raising $135,000 to date!) – but before we shut the door on January, lets recap some JAF highlights. With 2013 officially behind us, we wanted to look back and reflect on what a special year it was for our Foundation. 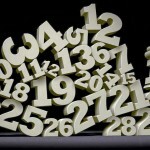 That’s why Joe took a “by the numbers” snapshot of our favorite moments and initiatives for the JAF blog. We are truly humbled by the continued outpouring of support for our foundation, and want to let everyone know that our collective efforts have made an incredible impact on a growing number of cancer patients and families throughout the region! As mentioned, we were THRILLED to officially announce our 2014 Boston Marathon Team JAF runners. Forty-seven (more than double the size of last year’s roster) marathoners will be tackling cancer with each stride when they hit the streets of Boston this April for the 118th Boston Marathonâ€”all to raise money in support of our Foundation’s mission to provide help, hope and a reason to smile for patients and their families when it is needed most. Team JAF is made up of a diverse group of cancer survivors, athletes, veteran marathoners and those running in memory of loved ones, including our own Executive Director, Jen Andruzzi. Jen kicked off our Team JAF runner-blog series this week, so be sure to bookmark it and check back for updates right up until Marathon Monday. We also hosted our annual Team JAF kickoff event at Kings Dedham in January, which was a blast. Check out photos from the event on our Facebook page here. Donations to all Team JAF runners may be made through the Foundation’s Crowdrise page. Supporters can also track Team JAF throughout their Marathon training process via the Foundation’s Twitter and Facebook accounts, and the #TeamJAF hashtag. 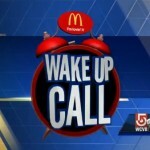 If you missed it, Team JAF checked in with WCVB’s EyeOpener on Monday morning’s for a “Wake Up Call.” Check out the video here. 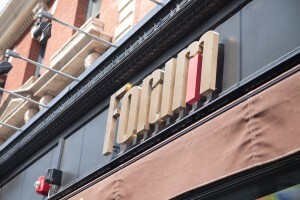 JAF will also return to Forum Restaurant on Boylston Street for our Marathon watch party, where the team and JAF supporters also gathered in 2013. This year’s event is of special significance to the Foundation and Forum, as we will celebrate the resiliency of Team JAF, the venue and the City of Boston in the wake of the 2013 Marathon bombings. We will be back, better than ever and Boston Strong! Details on the event will be posted on the Foundation website, Facebook and Twitter pages in the weeks to come – so be on the lookout! January also had some bittersweet moment for us – like the rest of New England, we were bummed the Patriots missed out on the big game, but we are celebrating a BIG win for our Points for Patients campaign! As you know, National Grid pledged to donate $500 to JAF every time the Patriots scored a touchdown, and also agreed to match public donations all season long (they even TRIPLED public donations during the playoffs!). Between 68 touchdowns, public matches, National Grid employee donations, and contributions from our partners at CBS Radio Boston/98.5 The Sports Hub and The Place Boston, Points for Patients raised more than $158,000 for JAF this season. We can’t thank everyone involved in this special program enough – but we’ll try! Thank you, thank you, THANK YOU! 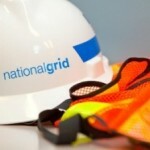 On Tuesday, Jen and Joe visited National Grid’s Waltham office to celebrate the program – check out the photos here. 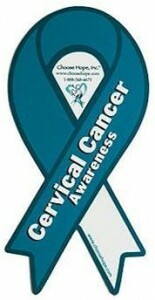 January is Cervical Health Awareness Month, a time when all women are encouraged to educate themselves on the risks and preventions of cervical cancer – a disease that is largely preventable. Be sure to check out Jen’s blog post informing women of the actions that they can take in preventing cervical cancer, and encourage all of the women in your lives to schedule annual exams.